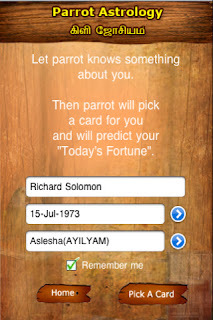 Parrot astrologers were fortune tellers who used green parakeets to pick up tarot cards. 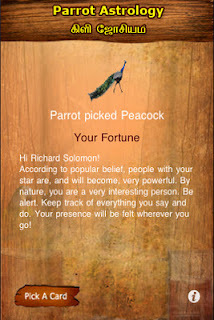 They interpreted the tarot cards to foretell a person's future. Most of the time, these cards bore optimistic messages. Parrot astrologers were South Indians and the business began as a five-foot-way trade in early Singapore. 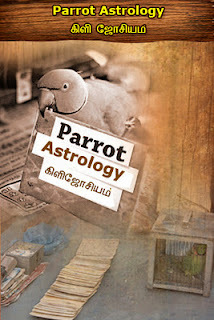 Parrot astrologers also made house calls and set up stalls in temple grounds. 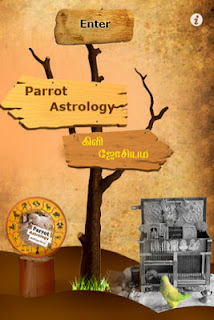 The parrot astrologer's possessions included a small table, 27 fortune cards based on the Indian cosmic system, charts, a notebook and most importantly, parrots. 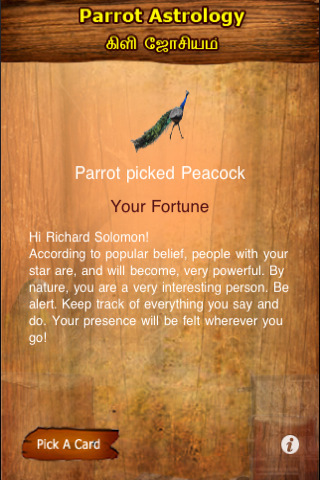 The parrots are fed with fruit, nuts and chillies to sharpen their intelligence. 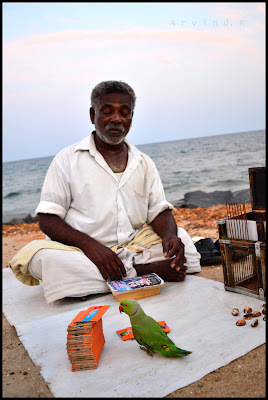 They are also treated with love and care, thereby establishing a bond between the astrologer and his pet. Each of these fortune cards depicted a Hindu deity, the image of the Buddha or the Virgin Mary with Jesus as an infant. Many Hindus believe there is an intimate connection between things that happen in daily life and planetary movements. A message therefore accompanies the picture addressing the customer's current cosmic influence on his domestic, financial, career and romantic matters.